Getting ready to head to a Disney Park soon? 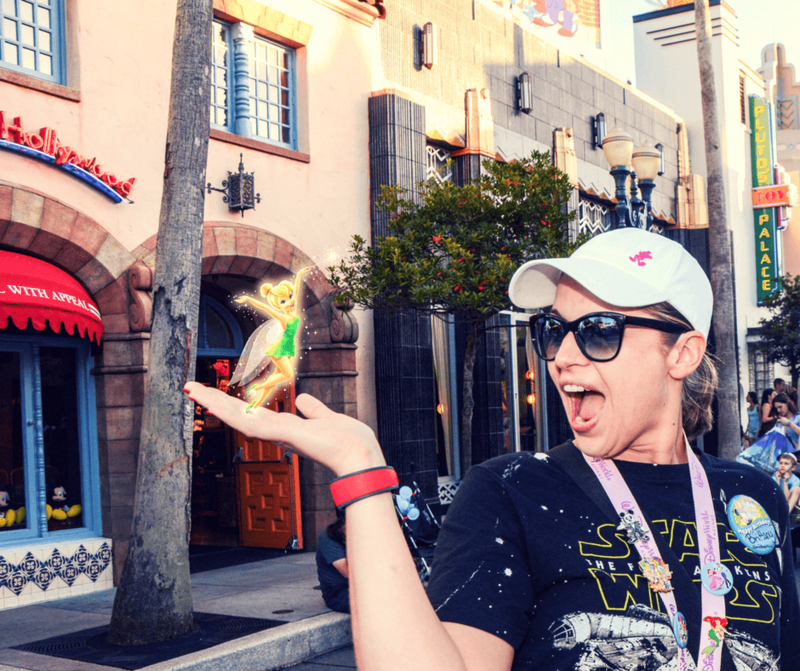 Need to know what Disney Park Gear is a must? to the most comfortable park shoes, everything you need to wear to make the most out of your magical day at the park is right here!!! This post contains affiliate links, which means I receive a small commission if you make a purchase using these links. It is no additional cost to you and I cross my heart I only recommend products & deals that will help you get the most out of your Disney experience. Let’s get started with the Ultimate Guide to Disney Park Gear! that had a small pink Mickey silhouette. I knew I could get use of the hat all year long…and so far I have!!! in the feature image above since 2007!! It goes with pretty much all the Disney outfits I wear, and it’s washable. in 2009 that clips to the bottom of the lanyard and I love it. It’s just big enough to hold my I.D. and the $20 cash I like to carry in case I want to make a small purchase. (or 2!) every trip as well. The newest pin is the Mickey&Minnie 4 parks spinner pin. It symbolized how we park hopped all 4 parks(in one day at one point) and rocked that trip out!!! I cannot stress enough how much I love and appreciate the Disney magic bands. It’s everything you need on one water proof band: your park tickets, your room key(if staying on Disney Property), your credit card info for purchases and much more! There are 8 solid colors to choose from: red, blue, green, yellow, pink, orange, grey and violet. Want the inside scoop on Magic Bands? Click Here. Weather it’s a tank top, tee-shirt, hoodie, scarf, or shorts a Disney themed clothing item of some kind is a must! (pictured above) that I interchanged the 3 days we park hopped. It amazed me how many different cast members acknowledged us and wished us a happy birthday! We even received free desserts at a couple of restaurants…BONUS!!! The best thing though was during the Festival of Fantasy Parade Merida(from Brave) saw my button and wished me a Happy Birthday from her float. Talk about shrieking like a little kid!! Totally made my day!! These celebration buttons are just an added touch of magic. 1st visit? Get a button. Wedding Anniversary? Get a button. It’s your Birthday? Get a button. If there is one thing I’ve learned about Disney vacations it’s that Disney thinks of everything!!! According to knowwdw.com the total walking distance of all 4 Disney Parks put together is 8.51 miles! Wow!! That’s a lot of walking…not to mention throwing in water parks, Disney Springs, Disney’s Boardwalk, Putt-Putt and any other activities you may do while at the Walt Disney World Resort. If you don’t invest in anything for your trip…invest in good shoes. Florida is the sunshine state for a reason. to rock at the park. This will hold all the little things you’re gonna need throughout your day at the park. On my Disney Disney December 2016 Trip I did a scavenger hunt at Disney Springs for a Holiday Stitch Button!!! From now on I will always ask cast members if there are any promos like that going on!! Everyone asked us where we got our cool Stitch button!!! Which Disney Park Gear is your go-to?? Leave a comment below!!! Subscribe Today to Receive Weekly Disney Tips! !